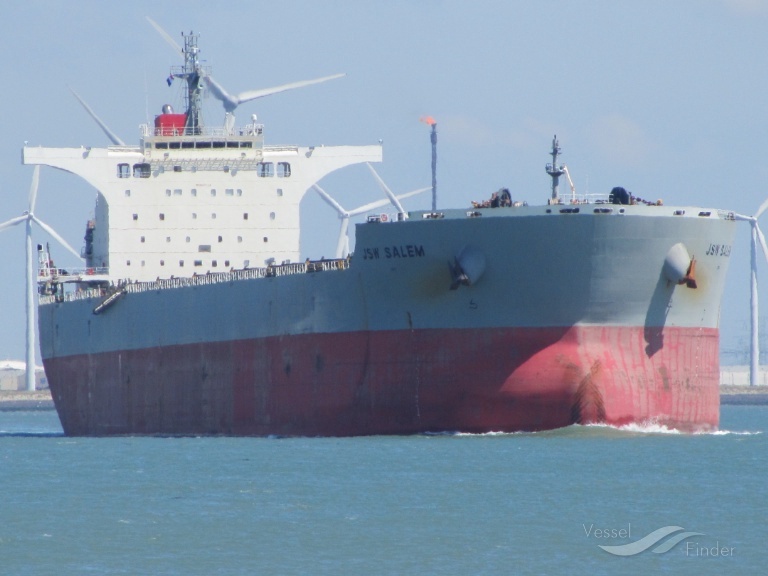 The 176,200 dwt bulk carrier JSW Salem ran aground off Virginia on January 10, but was able to refloat with the rising tide, according to the US Coast Guard. Crew members aboard the 958-foot bulk carrier contacted Sector Hampton Roads watchstanders in Portsmouth after the ship grounded some 2.5 miles east of Virginia Beach in the morning hours on Thursday. At the time of the incident, the vessel was carrying 120,000 metric tons of coal and a crew of 26. The authorities launched a response boat crew to assist the the bulker’s crew, while a helicopter departed from Air Station Elizabeth City to conduct an overflight of the scene. After refloating, the JSW Salem was escorted by the response boat to an anchorage about 1 mile off Virginia Beach. There were no injuries or pollution reported during the incident. Relevant authorities will launch an investigation into the cause of the grounding.